I’m having nomadic withdrawals right now and fantasizing about a life on the road; since I can’t actually go anywhere at this particular moment, I thought it would be a good time to relive my Rocky Mountain 2015 summer vacation through a series of post-vacation posts. 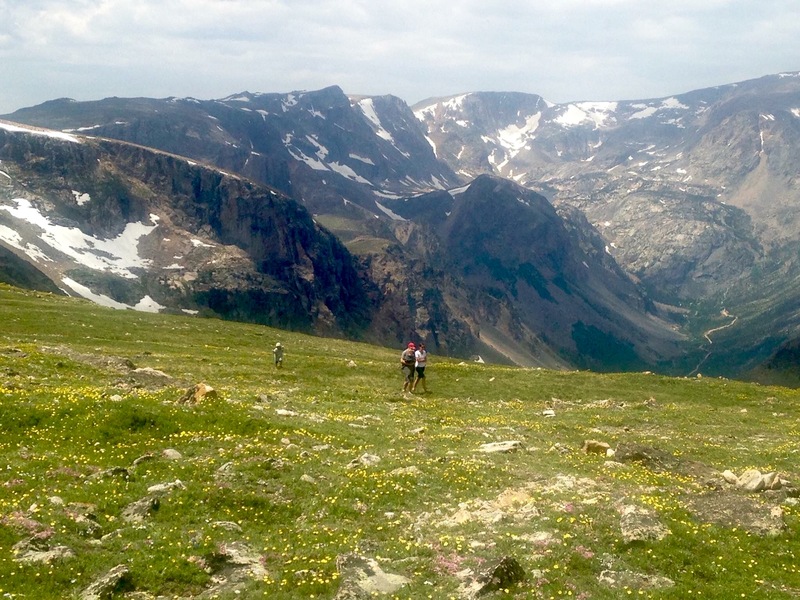 Snowcapped mountains, scenic vistas, meadows covered in delicate, pastel-colored wildflowers, turquois mountain lakes and mile after mile of twisting, nerve-wracking highway through National Forest; the Beartooth Highway has it all if you’re into Alpine scenery. On top of a mountain right off the Beartooth Highway. Snow in July! Family walking through an Alpine Meadow right off the Beartooth Highway. Could one ask for a more idyllic scene? In Virginia, a place like this would be filled with people and dogs and noise, but in the west, places like this are, if not ordinary, at least common enough that you can carve out a secret place of your own with minimal effort. We were all alone except for a large-bellied, pistol-carrying middle-aged guy fly-fishing while his short-shorts wearing, bottle blonde, tough-looking wife grilled burgers and drank beer. Neither of them looked too happy to see us (maybe we stepped into their secret fishing hole?) and, much to my disappointment, nobody offered us any burgers. But alas. 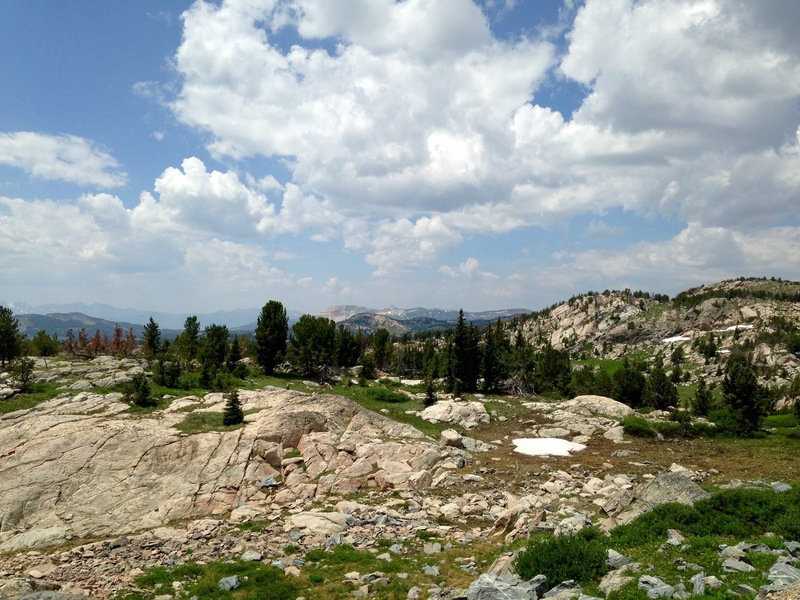 I breathed in the crisp mountain air and enjoyed a feeling of all-encompassing gratitude and well-being. And that’s exactly when the mosquitos showed up; zillions of them, everywhere, biting us through our clothes. We sprayed our skin, clothes and even the picnic table with bug spray, but they were relentless. And as soon as the food came out, the flies swarmed in, creating an infernal, inescapable, surround-sound buzz. When you see images of Alpine lakes and rivers and snowcapped mountains, no one tells you that what the picture fails to show you is that you will be greeted by a heavy, unabating blanket of mosquitos and flies that follows you everywhere you go. There is no escape. 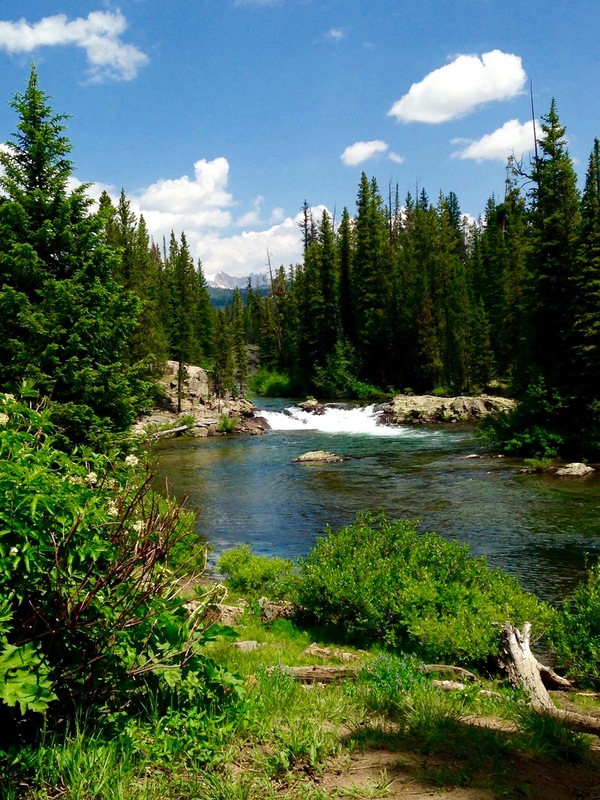 No one tells you that a picnic lunch by a creek on a hot Montana Day is a form of torture that will soon lead you to abandon your romantic creek-side picnic notions, pack up your lunch, run for shelter and enjoy your meal (and the view) from the comfort of your car. ‹ When I thought Alex from Fourth Grade Might be in Love with me. I have been on the Beartooth a couple of times. The driving and the beauty are both intense.